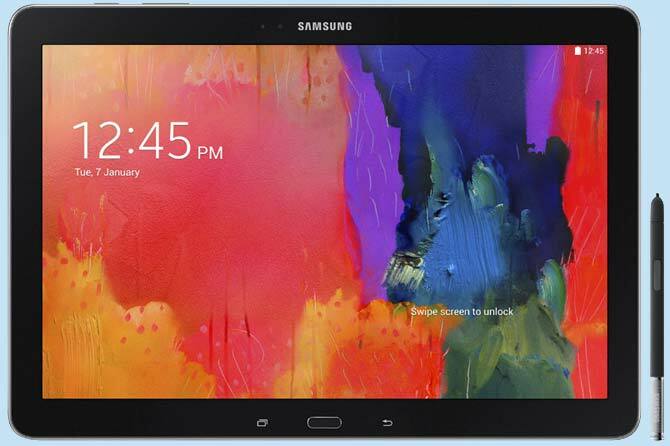 Rediff.com » Business » Is the Samsung Galaxy Note Pro worth Rs 65,575? 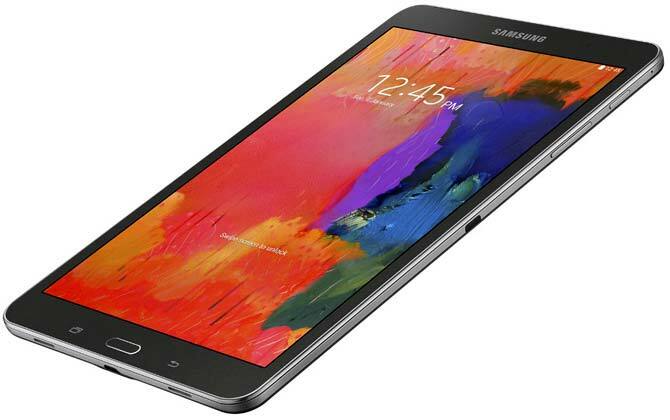 Is the Samsung Galaxy Note Pro worth Rs 65,575? 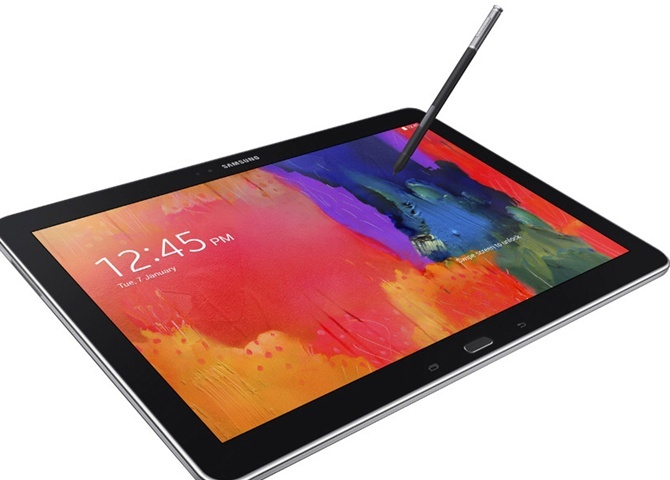 The Samsung Galaxy Note Pro is an ideal partner that will handle your work-related stuff effortlessly. 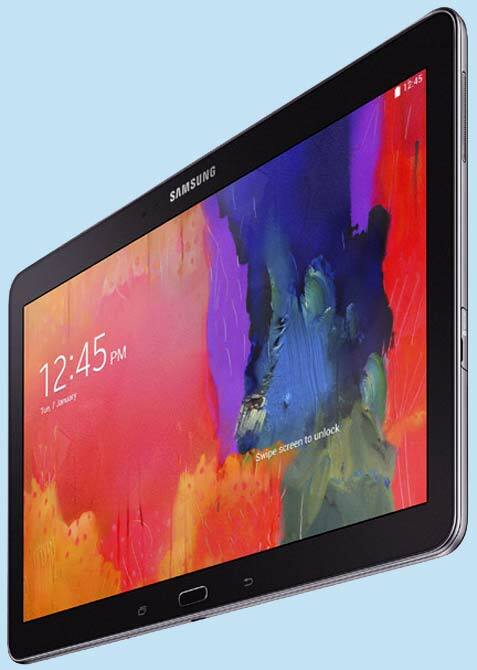 At first, the Samsung Galaxy Note Pro looks like your average tablet - a big tablet with a big screen. But when you turn it on and start using it, you realise that there's more to it than what meets the eye. 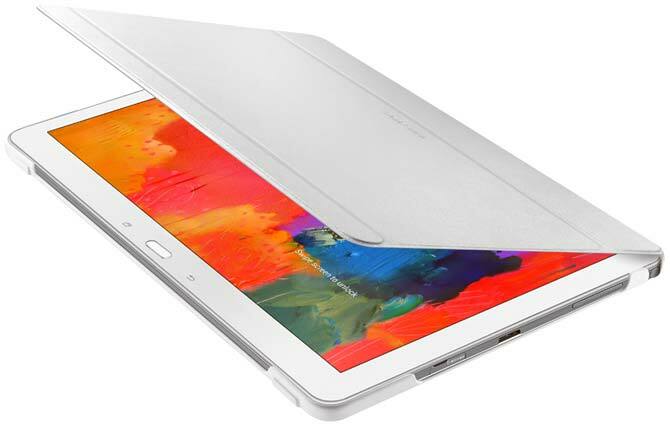 There is a lot of power packed under that 12.2-inch screen and features that make the Note Pro a one-of-its-kind tab in the market currently. 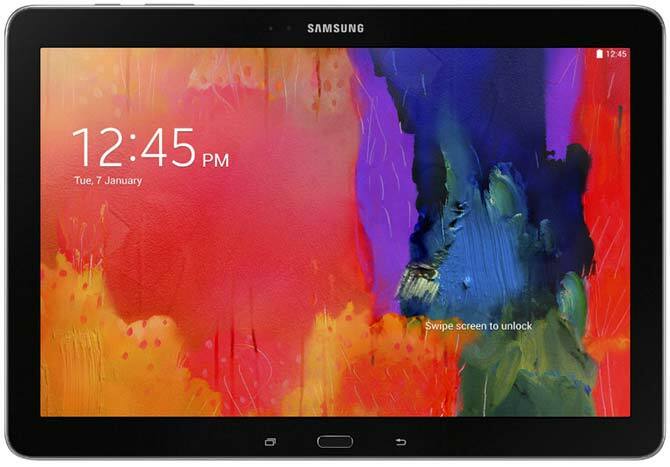 Image: Samsung Galaxy Note Pro. 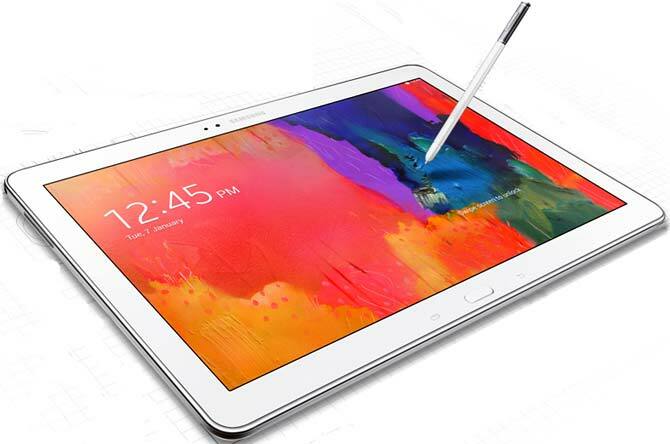 The 30.97-cm screen on the Note Pro is one of the best we have seen in tablets recently. The TFT screen has a WQXGA display with a resolution of 2,560x1,600 pixels. The display output is immense - bright colours and more details in every aspect. Not only will the user have a lot of space to play around with, in terms of work, this screen makes for a brilliant reading and entertainment experience. When you are reading books or digital magazines on the Note Pro, you can literally flip the pages. Using Flipboard on the Note Pro was amazing since it gives you a real-time reading experience. As far as the design is concerned, the Note Pro is a classy device. The power and volume rocker are on the top, while the S PEN, a multi-purpose jack, a microSD card slot and microSIM card tray are on the right. The Note Pro has a dual-speaker system, with one speaker on either side. Remember the octa-core processor system that created waves in the tech fraternity when it was introduced in the Samsung Galaxy S4? Well, the Note Pro also runs on the same thing. 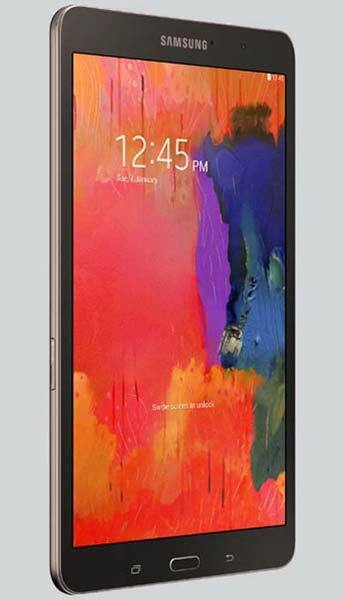 It has an octa-core CPU system that comprises 1.9GHz quad-core and 1.3GHz quad-core processor. And, with 3GB of RAM, the Note Pro works effortlessly. Frequent multi-tasking didn't seem to take a toll on the device. So, on one side we browsed through high-definition videos on YouTube and simultaneously flipped through our favourite digital magazines. The Note Pro runs on Android 4.4.2, so you will find all of Google under one hub with all the latest features of Android. Samsung's user interface makes the device more appealing. You can now carry and manage your work with the Note Pro. The integration between S PEN, S NOTE and applications that can manage official work is a lot better than the previous Samsung devices. In a way, the big display, which many might find uncomfortable, is a boon for all the professionals and workaholics out there. You can not only view your work - presentations, documents, pictures, datasheets, you name it - but edit it on the device also. Hancom Office is one such application that can be used to manage your work. There is a dedicated hub that will manage your schedule and calendar, email and documents together. And, since the Note Pro supports a microSIM slot, you can easily take your calls, preferably with headphones please. The S PEN just makes its even better. Options such as Action Memo, Scrap Booker and Pen Window make it easier to take and manage digital notes. No complaints about the battery here. The 9,500mAh battery on the Note Pro will last a couple of days and more on a full charge. But the camera is something that could have been a bit better. The Note Pro has a CMOS 8MP rear camera and a 2MP front camera. Both of them yielded commendable pictures but there was a lot of disturbance in the composition. Pictures often turned out to be grainy and it seems the device captures a lot of muffled audio during video recordings. So, the camera is something that needs to be given a lift. So, we have an octa-core processor, 32GB in-built memory (which can be further expanded to 64GB), a delightful display, features that can manage your work easily and an entertainment package that will keep you glued to the Note Pro. 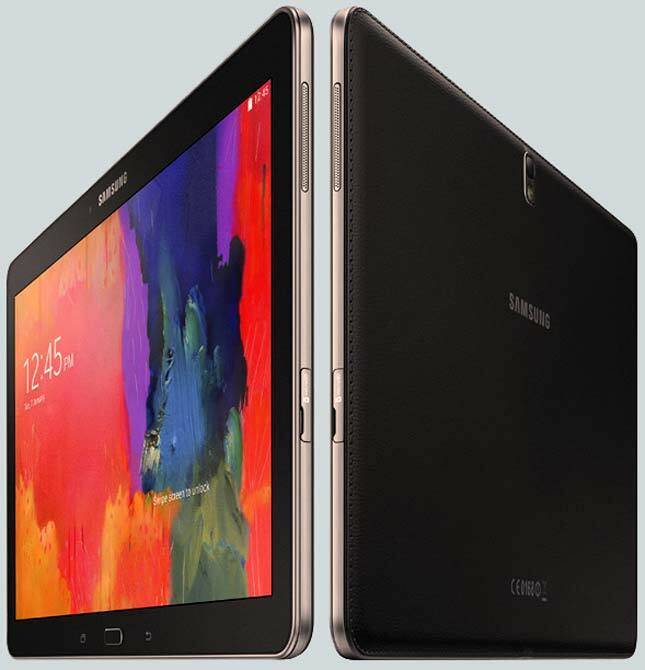 Clearly, Samsung is eyeing a particular target group with the device. And, there are no weak points here, except the camera that can be overlooked. Despite being priced at Rs 65,575, there will be many takers for the Note Pro and it looks like it will be worth all the hype and money. Should you buy the new Google Nexus 7 tablet?